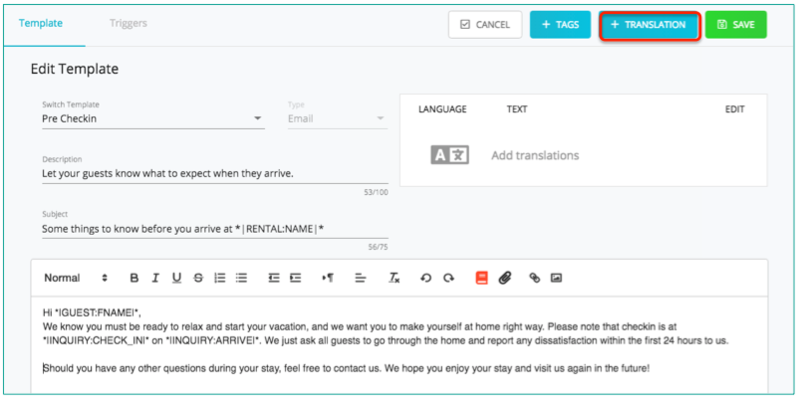 Automata allows you to seamlessly add automatic translations to each template, and automatically respond to guests in their language. 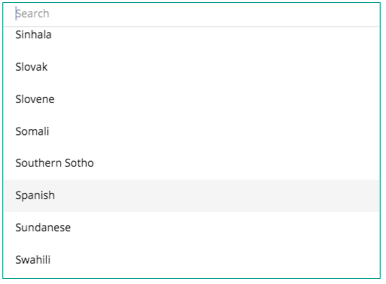 Different language versions are all saved under the same template name; the correct language version will be selected depending on the language of the last guest response. It is easy to add template translations in Tokeet. Once the message body has been populated, click "Add Translation" at top right. Your template is instantly translated to the selected language. Click "Save"; you are returned to the parent template. Click "Add Translation" to add more language versions. That's it! 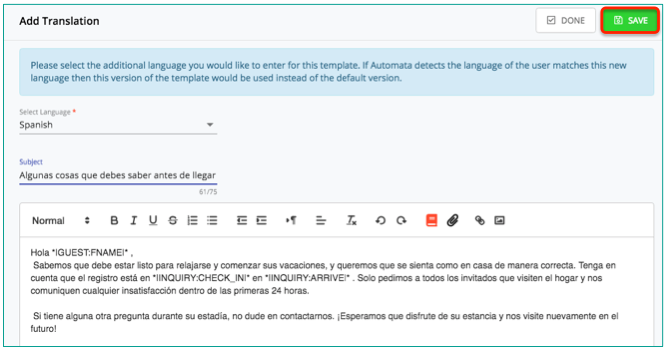 Automata will automatically detect and send the template in the appropriate language, based on the previous guest communication or response.